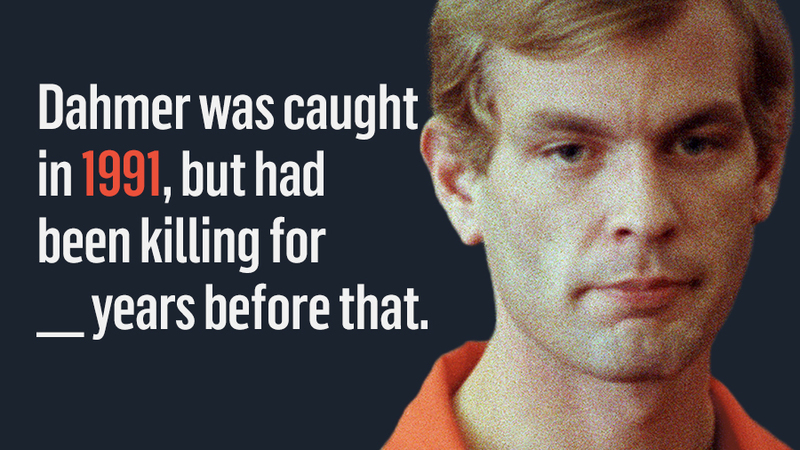 Dahmer was caught in 1991, but had been killing for ___ years before that. 13! Dahmer committed his first murder in 1978 at the age of 18, weeks after graduating high school. 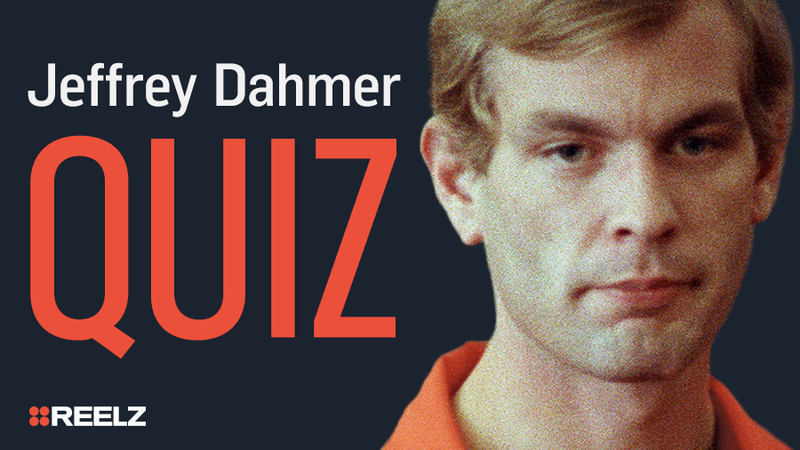 How long were authorities searching for Dahmer before they found him? Not at all! 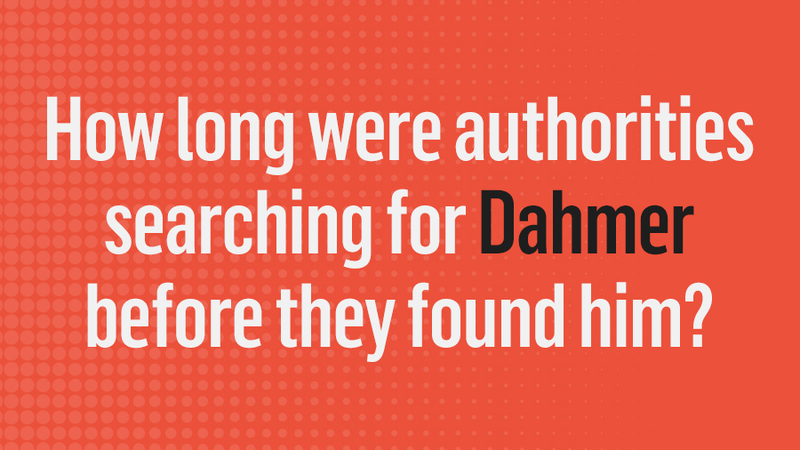 The authorities were never looking for Dahmer! Despite having killed 8 people the year he was caught, Milwaukee authorities had no idea they had a serial killer lurking in their city until they found his apartment full of bodies! 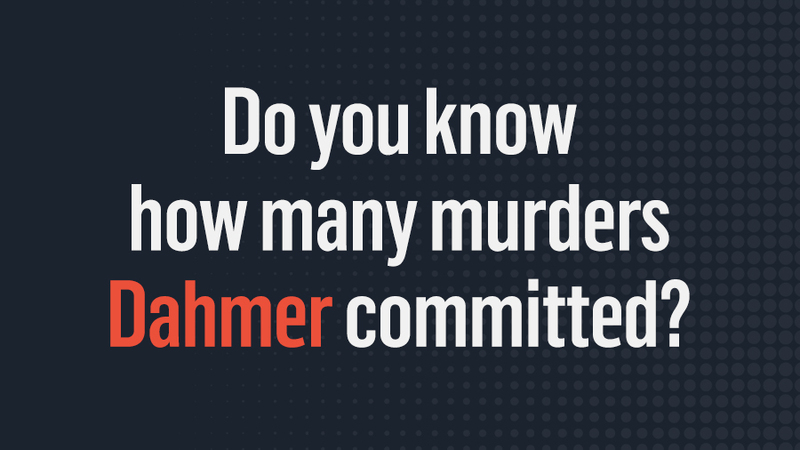 Do you know how many murders Dahmer committed? 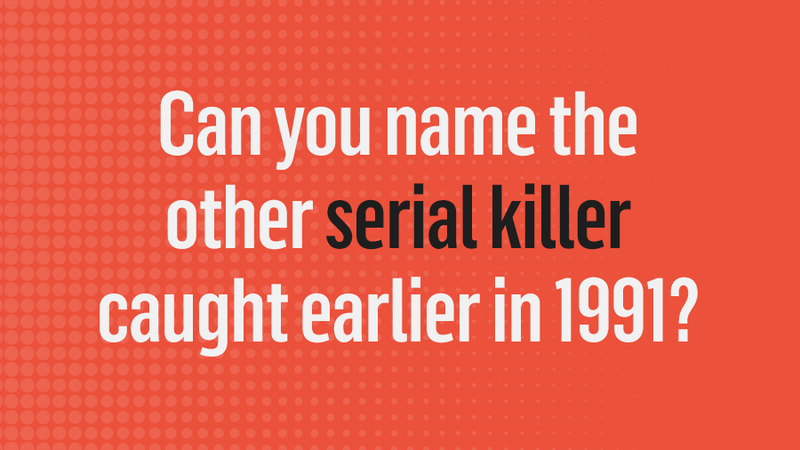 Can you name the other serial killer caught earlier in 1991? Aileen Wuornos! In January 1991, Wuornos was arrested for the murder of 7 men! 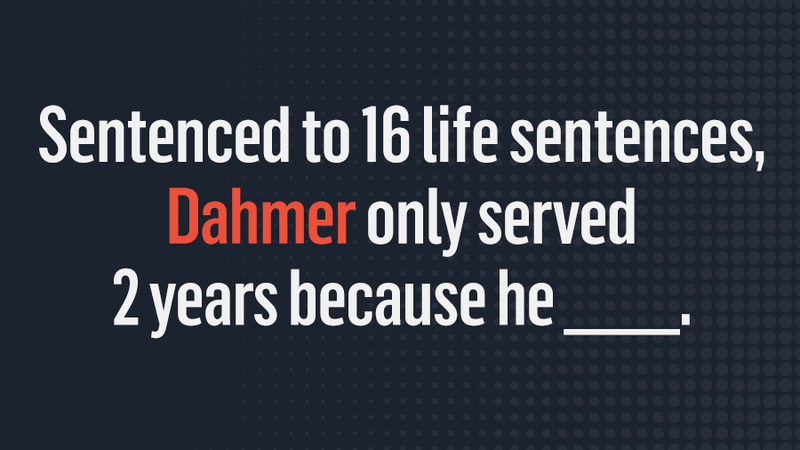 Sentenced to 16 life sentences, Dahmer only served 2 years because he _____. Was murdered! 2 years into his sentence, Dahmer was killed by Christopher Scarver, a fellow inmate also serving time for murder. 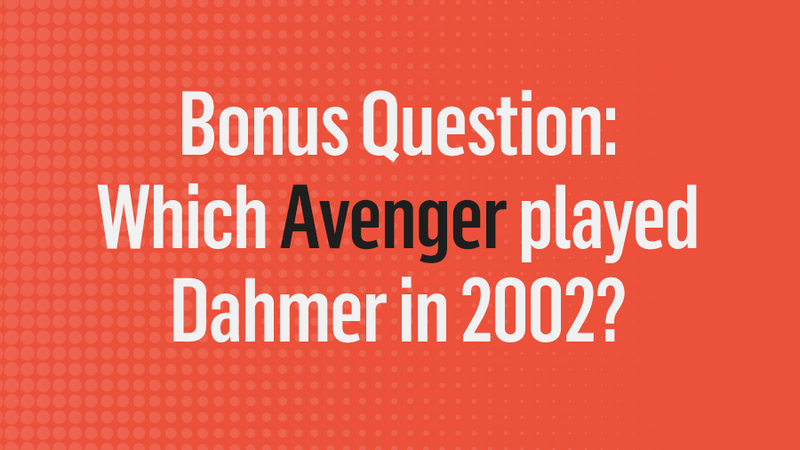 Bonus Question: Which Avenger played Dahmer in 2002?